In the effort to unify the gravitational theory of general relativity with the quantum theory of the very small theoretical physicists explore a lot of wild ideas. One of these is the idea of higher dimensions. While we may live our lives in the three-dimensional volume of space and the temporal dimension of time, that may just be a fraction of the total number of dimensions the Universe has. Some models of string theory, for example, propose an eleven dimensional universe. These extra dimensions give string theory the mathematical space necessary to combine aspects of gravity and quantum mechanics. But if we’re trapped in the subspace of four dimensions, how could we possibly detect these higher dimensions? It turns out that gravity could provide evidence of these higher dimensions (if they exist) because gravity wouldn’t be bound to our regular space. One of the arguments against the existence of higher dimensions comes from general relativity. As Newton proposed in his gravitational theory, the force of gravity follows an inverse square relation, where the strength of the gravitational force changes proportional to the square of your distance from an object. Newton strongly suspected this relation had to be exact, but had no way to prove it. In general relativity the inverse square relation comes from the geometry of space and time. In a universe with three spatial dimensions and one time, the gravitational force at close distances must follow the inverse square relation. If the universe had more spatial dimensions the force of gravity would be very different. Given the well-tested evidence of inverse-square gravity, it would seem that higher dimensions are a non-starter. But theorists have pointed out that higher dimensions could agree with inverse-square gravity if they are compact. Instead of extending off for (at least) billions of light years like our regular dimensions of length, width, and depth, they might wrap around themselves over a short distance. 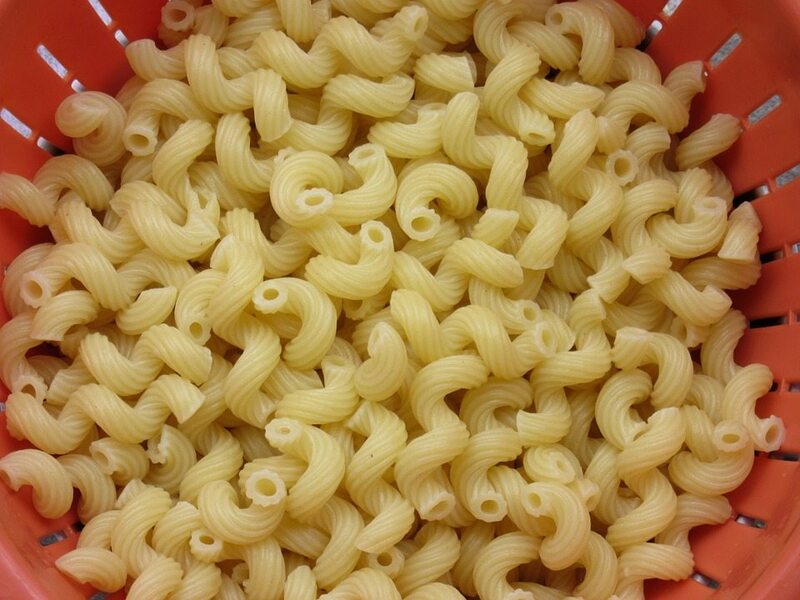 You might imagine space like a piece of tube-shaped pasta. Along its length space would seem large and open, but circling around the tube space would be small and compact. At large scales these compact dimensions would be hardly noticeable, but on the small quantum scale they would allow for the dimensional freedom necessary for models like string theory. While this sounds like a crazy idea, it actually makes testable predictions. If higher dimensions exist and are compact, then on our large, everyday scale gravity will seem to follow the inverse-square relation. But at smaller scales, approaching the size of the compact dimensions, gravity will look like that of a higher dimensional universe. In other words the gravitational force should deviate from the inverse square relation at small distances. The problem is that gravity is not a strong force. It can be difficult to measure precisely at small distances and with small masses. So researchers have used a few experimental tricks to get the job done. One of these uses a torsional pendulum, similar to what you might see in an old pocket watch. Any mass near the pendulum would gravitational tug on the pendulum, but that by itself isn’t enough to see an effect. So the researchers move the masses in sync with the natural motion of the pendulum. Just as a child can get a swing to move higher and higher by swinging their legs at just the right rate, the movement of the masses can give the torsional pendulum a measurable oscillation. The rate needed to swing the pendulum depends upon the force of gravity, so any deviation from the inverse-square relation can be seen in the experiment. As new results in Physical Review Letters shows, at small scales gravity still seems to obey the inverse-square relation. The experiment found no evidence of any deviation. Given the sensitivity of the experiment, that means the force of gravity is inverse-square at least down to the scale of 59 micrometers, which is about the width of a human hair. So either higher dimensions don’t exist, or they are very, very compact. Even though this is a null result, it’s an amazing experiment given the challenge of measuring small-scale gravity. And it’s a great example of how some of the strangest ideas in physics can be put to an experimental test. So, does the absence of any variation in the gravitation prove the absence of extra dimensions? It puts a constraint on the size of the dimensions, but doesn’t completely rule them out. Aren’t most of the dimensions in string theory infinitesimally thin? How come gravity interacts with other dimentions providing that gravity is not a force but rather a curvature of space-time (according to the theory of relativity)? In other words, gravity is just a property of three dementional space and additional concept of time, nothing more. We could take a two dimentional object and fold it in out three dimentional space. Similarly, any massive object bend (warp) three dimentional space into additional dimention. That’s it. It doest interract with other dimetions in any ways.